We live in a culture where marriage is something that is disposable. This week I had two encounters that are sparking this post to come alive but before I touch on those I want to share about my marriage. In just over a week Charity and I will celebrate our six year anniversary. Now I know that we don't have 50 years of marriage under our belts but I am good enough at math to know that you have to hit year six before you hit year fifty in marriage. See our wedding didn't happen at all the way we planned we it. For starters we bumped our wedding date up by almost six months because we felt that God was calling us to Vegas and didn't want to be apart that long. Then on our wedding day it rained cats and dogs (not real cats and dogs, but a lot of rain) and we had to do a last minute location change from the beach to the convention center in Encinitas, CA. The truth is we were bummed but we learned a quick lesson that night: it is about the marriage and not the wedding. See the wedding is a one day event that we pour so much time and energy into but many couples fail to invest in their marriage. If we could just switch the time and energy we place into those events I think we could see dramatically better results in marriage. Ok, so the wedding got rained out but we still had the honeymoon ahead of us. Now since we moved the wedding up, we had to wait six months to go on the our honeymoon. It was worth the wait. We did Jamaica in the summer and you may know what that means; yep, Hurricane Season. We had a hurricane pass to the North of the Island while we were there, but that didn't steal our joy. We were a young couple in love, spending the days on the beach, eating free food, and drinking all the virgin pina colado's we wanted! Then like most couples we had a kid, and she went to the NICU which was torture to us... literally. We left the hospital without our daughter because she had to stay there. We made it through that and grew stronger. We trusted in God, confided in each other and shared our fears. We cried together, prayed together, and called on our friends to help us through that time. When it was time for our second daughter to be born we were scared. Would this be the same as when Sophie was born? Well it was the opposite! 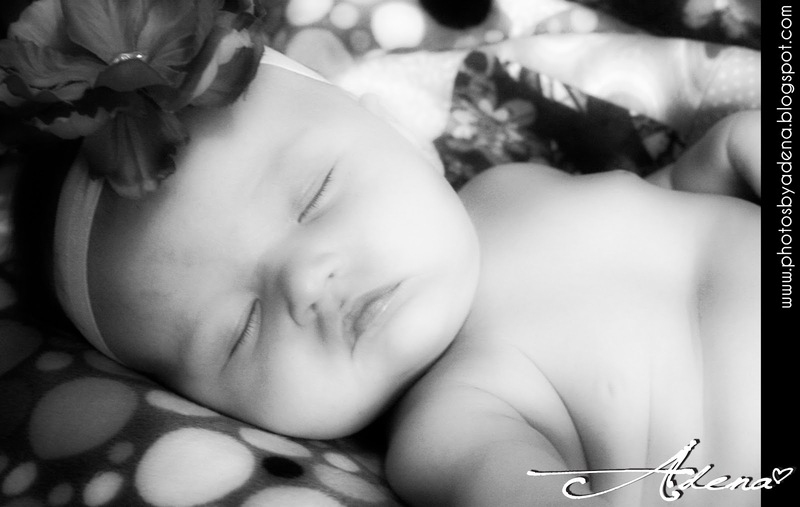 Leah was born with no complications and a healthy little girl. Now I think I have the best family in the world but I still live in a culture that doesn't honor marriage or commitment. You may wonder where I am getting that statement from. This week I took my wife out for a date. At our favorite Sushi restaurant we both have chopsticks that are just ours (its pretty cool to ask for them). When I told the waiter that Charity and I both had the same last name he looked at me and said "Oh, you two are married?" I was taken back but I get that living out in Vegas (and my wife is hot so people don't think she would marry a guy like me). Then I was talking on the phone with an airline company and booking some tickets. I was asking if I need to give them Leah's name as a lap baby and the lady on the phone told me I did. She asked what we last name was; she was curious if Sophie and Leah had the same last name. I was in shock. I was just taken back again. Now I know this happens all the time but what if it didn't? What if there was something inside humans that didn't leave each other? I know that there are some marriages where a spouse is abusive and some leave for safety sake but what about the other situations? Maybe I just wish that people would stick it out a bit more. See we have hit hard times but the hard times have made the good times that much better and especially with each other. I hope that our marriage lasts not only another six years but another sixty years. I want to spend the rest of my life with Charity and I'm going to leave the office right now, grab some flowers and just let her know that I still love her! 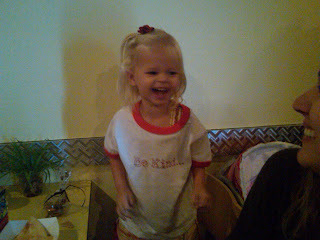 Oh my little Sophie makes me laugh in so many ways. The other day I was doing the laundry, you read that right, and she jumped in to help. Thankfully I was smart enough to grab the sick Sony camera and film this little ditty for you to watch! 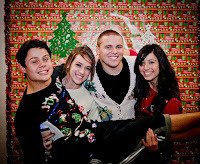 We have an annual tradition around our high school ministry that started about 5 years ago. I'm not really sure how it started but I am SO glad that it did! We had some amazing leaders on our team, John and Jenny Van't Land, and they proposed that we do a Cheesy Christmas Sweater Night one year for Christmas. 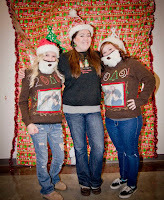 I thought it was a great idea, and they were super stoked on it, so we made it happen! Since then the event has progressively gotten better and better and this year we had our best night by far! John and Jenny visited us from Africa (see video below)! We had some students make a funny announcements video. The catwalk had the steepest competition yet. One of our students, Ciara Mangino, took pictures of the night. We had Christmas treats galore and the night was just one of those nights that reminds me of why I love serving with our leaders and loving on high school students. This year for the message we didn't go to the birth of Christ but talked about the need to be in a discipleship relationship and grow with Christ; the response was amazing! Well I can't believe it. I knew it would happen and I pushed her to do it but Leah is crawling! This video is from about 3 days ago and today Leah crawled from the living room into the kitchen. She is totally mobile and that means more work for us. I don't think I'm ready for little Leah to be crawling already... but I better get ready quick! As I was thinking about the tattoo I began to think about the road we, Charity and I, have traveled with Sophie. I remember when I found out that she was pregnant and the day that Charity told me! My great friend Conrad was in town and he knew before me that Charity was pregnant! It was cool that he was there to take this picture when Charity told me that we were going to have our first child! As time went on, approximately two weeks later, we had a scare. Charity was having issues and we didn't know what to do. I asked my friend Janice Yurek what we should do and that is when both told each other that we were pregnant (our girls are 5 days apart). I ended up leaving work early that night and Charity and I spent hours in the hospital; we were scared, nervous and prayerful. The rest of the pregnancy was pretty much event free... until it came time for Sophie to come. Sophie was doing great but ended up having meconium aspiration (which means she went to the bathroom before she came out) and it can be very dangerous. You can go check my blog (using this link) to see all that we went through when Sophie was in the NICU for the first 6 days of her life. After she was released from the hospital we thought we were in the clear but had no clue we would be sent back to the ER less than 5 days later. Needless to say I broke down crying on the phone but stayed strong the rest of the next 24 hours that we were in the hospital. Since then we have had our bumps, scraps, cuts and bruises. We have also had rad times at the Zoo, fun petting dogs, riding ponies, visiting grandparents, seeing aunts and uncles and growing as a family. When I look at my newest tattoo it reminds me of some of these stories but more than anything I think of the huge blessing that Sophie Marie has been to our lives. I think of how I cried when she was born or the day she said her first word. I think about how she grabs my face and says "You're my favorite daddy in the whole world." I am so stoked on this tattoo and how great of a job that Johnny Five (if you are in Vegas and need at tat call Johnny and tell him I sent you) did on it! This was just the first session so there is more to come but that is Sophie's hand print in the middle and it just shows how much this little girl has touched my life. Don't worry, the spot above the frame is saved for Leah's hand when she gets a little bigger. I can't imagine my life without my little girls in it! This month has been a very special month for me. Earlier this month my buddy Taun Yurek and I went on a fishing trip to Beaver Dam State Park here in Nevada. It would be best to get this straight right away; Taun is a stud fisherman. I grew up fishing with my dad but haven't done much fishing for about the last ten years. Taun is a stud camper. I have a pretty cool sleeping bag a sweet knife in case I need to cut something up. Taun borrowed the sickest old school camper ever! I drove my truck that towed it. So here is our campsite where we stayed for three nights and four days. We drove in around noon on Thursday, set up camp, ate some sweet sandwiches and then headed out to fish. The first day I am pretty sure Taun caught around 8 fish. I lost about 4 flies. The next day was better. We woke up early (thank you Mr. Sunshine) and had an amazing breakfast! Taun hooked up the great breakfast burrito because I was too cold to function. This was our power to go out and slay the fish that day! This was my first time ever really fly fishing and it was something that I had only tried, unsuccessfully, once. I may not have caught the biggest fish but it was a fish! I was basically just super happy to have caught a fish. We fished this little stream that we hiked to get to. Once we got there we hiked down stream for about 30-40 minutes and just walked up the stream fishing. Taun really knows how to read the water and where the fish like to chill. He's pretty good, ok really good, at knowing what the fish like to hit on. After fishing in the morning we went to another part of the stream to fish the afternoon. There were some huge beaver dams up there that caused there to be good sized pools of water where the trout were stuck. Taun caught this bad boy at our favorite hole (I lost about 5 fish at this hole and Taun caught most of them). One of the best things was that all the fish we caught we released. We brought all our own food up there so we didn't rely on catching fish to eat. Is Jesus Really the Only Way to Heaven? The other day I was driving and talking with a great childhood friend. During our conversation we were talking about growing up in a small town and the effect that had our understanding/impression of religion. He shared with me how he had studied other religions to check them out to just make sure he is making the right choice. I affirmed that decission and shared that I had also checked out other religions; mine was more a study of them during my undergrad work and conversations with people from other religions. When I read that verse it hit me, again, how Jesus is the only way to salvation. I cannot create my own path to salvation; anything I try to do on my own could never equate with a Holy (Exodus 15:13) and perfect God (Psalm 18:30). I chose to use the verse in Acts first because I prefer to find scripture that backs what Jesus says. I have heard people say that Jesus was a good man but He definitely wasn't God. The best book out there on that subject is "More than A Carpenter" by Josh McDowell. In that book Josh talks through the three things that Jesus could have been (I'll let you read it to find out). In my life I am convinced that Jesus is the Lord of the world. I have read about Him in scripture, have put my faith in Him and have seen Him work in my life in some amazing ways. I confess there are days that life is tough and I wonder where God is at work and what He is doing but I had hard days before I gave my life to Christ and had no hope to look forward to. Where have you placed your hope in this life? Have you trusted in Christ for salvation? If you haven't I'd like to recommend reading three verses: Romans 3:23, Romans 5:8 and Romans 10:9-10. After you have read those I hope it helps you understand this topic more and how Jesus came to save you and me from our sins. This month has been very special for me and the main thing is that my church is letting me take some time for Spiritual Refreshment! I've heard the questions from people and even had a student ask me if I am taking six months off; the answer is no and I will be back on Sunday (which makes me excited). I love my church but we all need to get away every now and then! 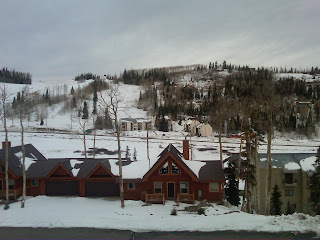 Last week I took a few days to head to Brian Head, Utah to get away with myself, a few book, my Bible and some food. Some amazing friends from church let me borrow their condo and I just had a chance to spend some in-depth, alone time, with God. The scenery up there is beautiful and the second day I was there it was pretty much overcast all day. I left my snowboard at home to make sure that I took all the time I could to seek God out more. I have been reading in the Gospels (Mark 1:35 and 6:46) how Jesus took time away to just connect with God. It has been hitting me more and more that I need to get back to that. While I was away I just relaxed the first night to slow down some more. The second day I was there I really was intentional in reading my Bible, listening to God and finished reading Emotionally Healthy Spiritually by Peter Scazzero. The book has been extremely helpful to me and all that has gone on in my life in the last ten years (yep I am admitting that I am imperfect pastor who has junk in his life). The other day a trusted leader stopped me mid-sentence and said "Neal, do you realize how much you have been through in the last 10 years?" I think we all need to get away to remember where God has taken us and where God is leading us. 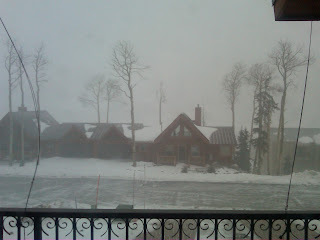 The final day the weather began to get nasty but I knew God wasn't done with me up there in the mountains. I stayed for a while, read some more, spoke with God some more and took more time to relax. I didn't want to rush out and miss what God wanted to do in my life. See I know that God is working on Neal Benson right now and that is tough to square with. We live in a culture, especially Vegas, where you are encouraged to have it all together. The truth is that none of us have it together and I am going to be the first to admit it so you can feel comfortable admitting that when you're ready. This is something that can be difficult but every time I turn my phone off for 24 hours I feel better. I feel the burden of life slow down and it allows me to focus on what matters most in my life. There is no way you can maintain the pace of life that the world asks of you without doing this. I find it crazy that we are committed to 9 of the 10 commandments but are so easy to disregard the Sabbath (myself included). I know its not always possible to get away and put life on hold for 24-72 hours but can I encourage you to find times in your schedule to get away and hear the voice of God? I can assure you that He wants to speak to you as bad as you would like to hear His voice. Six years ago I loaded up my 1995 Ford Ranger with about 8 boxes and a bag of clothes. I left Escondido, CA around ten in the morning and headed North on the 15 freeway. It was a pretty mellow drive; not much traffic, the weather was nice but it was weird leaving the only state that I had ever lived in. I arrived in Henderson, NV around 3pm at the house where I would be staying; it was with a super cool guy named Robbie. He opened his home for me to stay at for a few weeks while I found a place of my own. I remember jumping in his car that Wednesday night and going to check out the high school ministry at South Hills Church Community (my new place of employment). I walked into the room and it was so rad to see what God was doing out in the desert! About seven weeks later I flew back to San Diego to marry my beautiful fiance, Charity Fairfield. Our wedding, that was supposed to be on the beach, was moved in doors because of the rain. After a few days of staying in the nicest hotel of our lives, The Hotel Del Coronad, we loaded up that same truck and drove out to Las Vegas. We had the craziest drive of our lives! Well we jumped right in and were leading the Middle School Ministry called Ignite and had some great nights; we had our fare share of rough nights too but God always seemed to be growing us, teaching us and leading us closer to Him. After nine months of leading Ignite I was asked by Rob Hall to lead Explode also... wow that was a huge growth time! Soon both ministries began to grow and interns were hired to help out. Then we brought on Chase Feindel to lead Ignite and I was able to focus more in leading Explode. Chase began to love on students, leaders and parents and it was amazing to see God grow not only the ministry us (Charity and I) through everything. In September 2007 I had the blessing of being ordained by the Christian and Missionary Alliance as a pastor; something that I had worked for at over two years to accomplish. Well it seemed like time has flown because in August 2008 we had our beautiful little Sophie Marie and it felt like no time after that Charity was pregnant again with Leah Joy who was born in March 2010. Who knew that so much would happen in the last six years that started with a trip to check out a church in Las Vegas and a call from God to come back to that church. It seems weird writing the story of the last six years of my life but its so fun to remember the amazing things that God has done. I didn't even take the time to write about the churches we roofed in Africa, the house we built in Mexico, the many winter camps we have done, the times going to Hume Lake for summer camp and seeing hearts changed. I could tell more and more stories about how God has worked in our lives here in the last six years and I am so thankful for the times that we have had serving here at South Hills. Thank you for allowing me to pastor here! Tonight I didn't go to Explode. Not because I was on vacation, or taking another class for seminary. I wasn't out of town for a conference or for a wedding. Tonight I missed Explode because I am taking three weeks off for spiritual refreshment. Its hard to believe but 5 years and 357 days ago I moved out to Vegas to serve at South Hills Church. This month I went to my pastor and asked for some time off for spiritual refreshment. I knew it wasn't the best time for me to take my sabbatical but I knew that I was getting close to being spiritual depleted. I know in some churches I could have shared that and it could have gone much different; and I am very thankful for my church and for them caring about my spiritual health. I am taking some time to connect with God, read, pray, get away, and spend more time with my family. Its kinda weird because I am so used to serving and leading weekly. I am so used to being with our students, leaders and staff. Its weird but I am thankful to get some time to get refreshed and seek God more this month. Thanks for giving me some time off to seek Jesus! When Leah was first born I just started calling her "Little Leah", kind of like when Sophie was born I started calling her "Little Charger" (that is another story) but Little Leah is not so little anymore. I feel like the last 7 months of my life has blown by... so quickly that Leah will be 8 months old in two days. Since I haven't done as well keeping up with Leah's growth here is a quick video of how my little girl is growing up and getting so big. 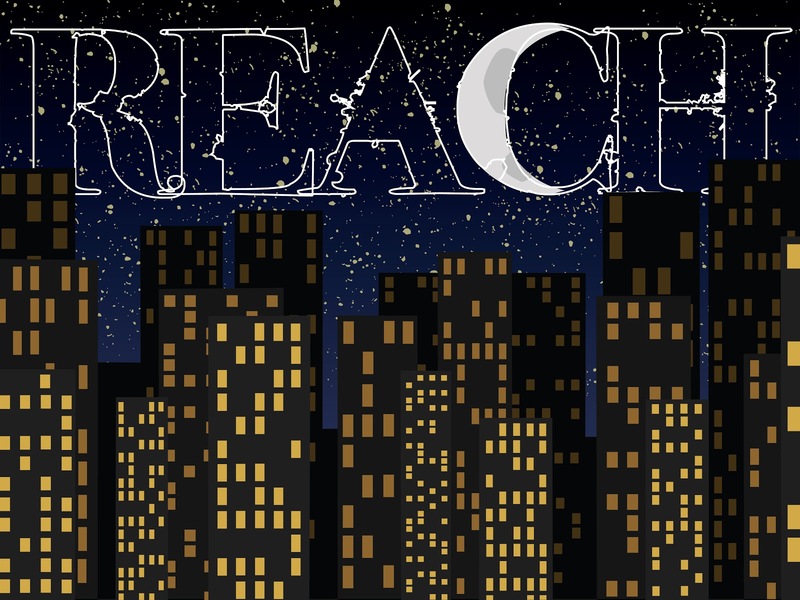 This week we started a new series in our High School Ministry called "Reach". This year we changed up the way we do our message series; kinda. We didn't change much. We still preach from the Bible, our goal is to communicate to students in a way they understand, and we want to provide practical application they can take away to enable life change. The main thing we changed was that we are trying to do more "series" that are shorter. For example: normally we kick off the school year with a 6-8 series. This year we started with a four week series. Instead of doing longer series that provide more depth we are trying to do shorter series that provide more a broad base. In short this allows us to teach students more of the Bible and help them to dig into areas of their interest. 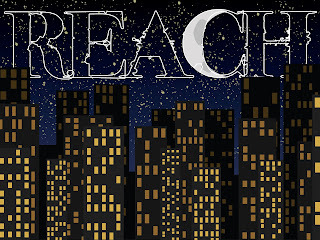 Currently we are doing a two-week series called "Reach". The heart of reach is something that I am super passionate about. Ever since I gave my life to Christ I have had a desire to tell everyone about the one who radically changed my life (if you knew me before you know what I'm talking about). I believe that the God we serve is still actively involved in the business of life change and desires to see all men the truth of living for Christ. Prior to this series our intern, Evan Faircloth, took a two-week series on HELP. Evan spoke about our call, as Christians, to help a world that is in desperate need of a savior. As a youth pastor it is becoming increasingly difficult to find something going on in the world that I want to get involved in. I mean there are some great organizations out there but it seems like finding something with honest morals, character and integrity is tough to find now a days! There is a foundation out there that I have come to know well and is something that I just want to partner with, tell everyone about and buy the t-shirt for me and my kid! Its called the Josh Stevens Foundations and its based on a moto that one young boy chose to live out. I never had the opportunity to meet Josh (I bet I would love him) but have I been able to meet his family and multiple others who knew him personally and he is the kind of person that makes you want to be a better person. Unfortunately Josh's life was cut short; but the cool thing is that this kid is leaving a legacy here on earth and his message is inspiring me (a 30 year-old man) to be a better a person. Its not a super gnarly message with intricate words that is tough to follow. I haven't seen something crazy that you have to sign to be a part of this movement; in fact the message is so simple that you can read it on the front of my daughter's t-shirt "Be Kind..."
This is the moto that Josh lived by. 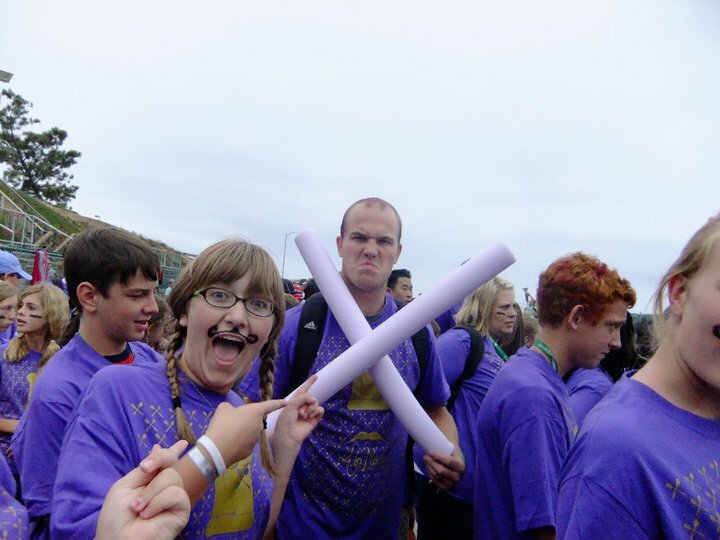 I've heard stories from the students I work with about what a great kid Josh was and its true! They don't have to say much really because I can see that Josh was a great kid by the conversations I have with his sister (family knows best). But more than any of that I see that he had a lasting impact on the world with the message he chose to live his life by and that message is still alive and well in my community. I hope one day that my children can leave a legacy. I hope that one day my children will be people that others want to model their lives after. I hope that one day my children will do something in the world that makes it want to be a better place. Until that day happens I am going to encourage my kids to follow the moto that Josh left here for us "Be Kind..." I think that is the right thing to do right now. Discipleship is my not my natural bend as a Christian. I would prefer to be out and about sharing the good news with people than sitting around a table and leading a small group. Now I say that but something inside in me is changing. Starting back in May I began to think that we (explode high school ministry) needed to revamp the way we are leading small groups. Through months of thinking, planning, and praying we have successfully done that. Last week was week four of our new small group format and I am totally loving it more than I could imagine! I don't think I am naturally wired to lead a small group, which doesn't mean I am exempt from the call to disciple, but we have about 10 leaders that love to disciple students and we have turned them loose to make that happen! We chose to use the book "Crazy Love" by Francis Chan for this session and the book is rocking the way I think about Christ and helping students understand more about this God they have chosen to follow. The format is different than we have ever used; this is the first time we have all our small groups using the same format since 2005 and its working! We moved all the small groups onto the church campus for the 10 weeks of this study to get some unity and critical mass going. We are also seeing how girls and guys relate being in the same room during a study. The leaders are the ones who make it! The leaders are the ones who create the environment at the their table; they are the ones being youth pastors to the students at their table. The leaders are the ones who are praying for their students, inviting them and even picking them up so they can come and its working! This is the first time we are not basing success on numbers but health and its so freeing to see Jesus work in that room on Sunday nights. If you haven't had a chance to come to small group; hope to see you this week at 4pm in the Student Ministry room! Ever since I can remember image has been huge for me! I have done my best, since about the 9th grade, to look my best in dress and self image (no one looks good in middle school and that is given). It started with making sure I had the "cool" snowboard and snowboard boots. Then I needed to make sure I got a "cool" truck when I was in High School. It didn't stop there; I always wanted the "cool" girlfriend but the sad thing is that I didn't fit in any of their class bracket. My family was never poor but we were never rich; we had food on the table and a roof over our head, we played sports, we had money to go on vacation but we never had that much. When I first game my life to Christ I remember looking into my closet one day and thinking that I need to get rid of some of these clothes; especially my Bad Religion t-shirt. I never really cared what others thought about me (it sounds contradicting and I know that) but I always wanted to make sure that in my mind I looked how I would prefer to look. “Woe to you, teachers of the law and Pharisees, you hypocrites! You clean the outside of the cup and dish, but inside they are full of greed and self-indulgence. This verse is it! Jesus nails it on the head and brings the truth to my situation; I just needed to be open to seeing it in scripture! See the problem for me is that I need to focus more on my inside being taken care of and less about what my outside looks like. One thing that I have learned, and haven't totally figured out yet is how to really connect well with Jesus in this new stage of my life. This is what I am going to work on now; connecting well with God being a husband, dad and pastor. My focus will not be on how to be the best pastor but how to be the best follower of Christ that leads and loves his family well; I think the rest will fall into place when I focus on that. I've been in ministry now for almost 8 years and I have to be honest that I have been scared to ever broach the subject of end times... until now. 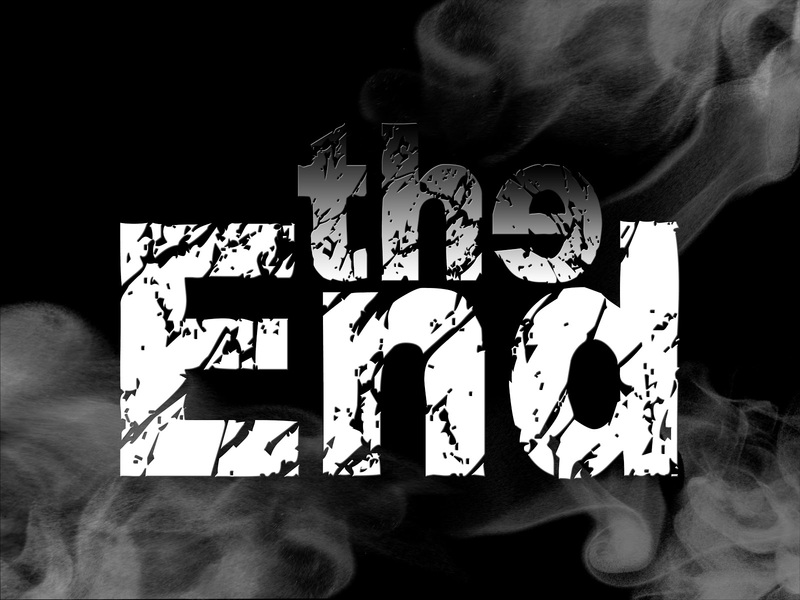 Almost four weeks ago we started our series "The End" with a goal of teaching students what the Bible says about the end times. Students are being bombarded, on all sides, with what society thinks will happen at the end. We have movies like; "I am Legand", "2012", and "The Road" that attempt to speak about what will happen at the end and what that may look like. Week 2: "Are you Ready?" 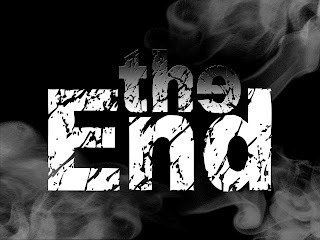 Week 3: "The End of Everything"
Week 4: "After The End"
The sense I get is that this series has been helpful to students in their understanding of what the end will look like and what they can do in preparation for the end. You can check out our podcast for this series to hear some of the messages that we have done (Pastor Chase spoke week 2). I'm currently reading a book for a Fall semester class at Tozer Seminary called "The Family". The course is on Marriage and Family Counseling. I just got to chapter 17 and began reading about divorce and single parent families. I come from a divorced family and some of the things that I am reading are really sticking out to me; figured I would blog about them to help them stick in my mind. "They discovered that adults who said they were unhappily married in the late 1980's and got divorced were on average still unhappy or even less happy when interviewed five years late as compared to those who stayed in their marriage. Most of those who stayed in their marriages had on average moved past the bad times and reached a happier stage." "Marriage is like a mirror that shows us all our flaws"
The book goes on to share about the pain that children bear from divorced homes. Something that sticks out to me, from personal experience, is that boys who live with their mother tend to be more aggressive and non-complaint. This has been a personal struggle that I have dealt with for years and wish I could say have conquered but still have battles with. This book brought good insight on divorce and the stigma that goes something like we are able to fail in business, school and other decisions but not in marriage. We have all made unwise choices and marriage is a union between two imperfect people. My goal for marriage is to honor Christ, put Charity's need before mine and point my daughters to Christ. Please pray I will be able to do that well. I've heard many quotes on how life is a journey and its what we learn along the way. Life is a journey its just a matter of how you take it. Life is a journey make you stop at In and Out for lunch. Ok the last one is my personal take. Life is a journey and I have been riding that journey for over 30 years now which the last 10 of those years I have done as a Christian man, the last 5 1/2 as a married man, and the last 2 as a father. Over the last 10 years there has been great changes in my life; the transition to following Christ was by far the biggest change ever! Recently I have been going down a path trying to learn more about myself, who God has called me to be, how to implement that, how to grow as a Christian, how to be a better leader and what all that looks like. I cannot say the journey has been easy; I learned early that nothing good is easy but it is worth it. The journey for me has been very much so "worth it". It has been difficult, trying, stretching and convicting. God has done some huge shaping in my life in Vegas in the last, almost, 6 years now and especially the last 18 months. "I was a Christian for twenty-two years. But instead of being a twenty-two-year-old Christian, I was a one-year-old Christian twenty-two times! I just kept doing the same thing over and over and over again." I mention this quote, three months after reading it, because it is profound and I think a good indicator of where the Church is at. From a leadership standpoint I see many people that have merely accepted Christ and fail to do much more than that. To battle that I am making a commitment, as a young leader, to be different than that. To not allow students to sit on the side line with their faith; to do more than just wear the team jersey but to figure out how they can play. The world is crying for us, as Christians, to do something with our faith and I think now is the time! Whats a b-day without a cupcake! 09/05/10 South Hills - Weekend Message from Axis/Brio - Henderson, NV on Vimeo. "Want to sing to Jesus"
"Sophie go to work daddy?" "He tried to eat my finger"
These are just a few, random, things that Sophie has said lately. Last week we took a family vacation down to San Diego for the week and had the best time of our life! I'm going to have to take a few times to post the entire trip but wanted to start with our first day and our visit to Sea World. I am stoked on how much Sea World has for kids! We were able to pet bat rays and Sophie totally loved them! After "petting" Shamu we went to the Shamu show and I have to say that I was almost in tears watching the joy that Sophie had watching Shamu "do flippies". When the Shamu show as done we went over to the new Sesame Street area that Sea World put in since I was kid where we met back up with my sister and her son Blaze. Charity took Sophie on the Gabby ride there and she was totally loving it! Well once we saw the Polar Bear it was time to head home for the night and get ready for our next day going to the San Diego Zoo! I realized that I haven't blogged much about my family recently; summer tends to be an intense season of ministry and school (no excuse). On Friday Charity and I decided to take the family out to Bonnie Springs, a little old west town that is about 45 minutes from town, and we had a great time out there! After feeding the ducks we walked around the petting zoo where we encountered all kinds of gentle animals that Sophie loved touching! Here is the goat that was super nice and let us pet him. We also pet a little pony, a sheep, a deer, a llama, and tried to pet some chickens. They have all kinds of animals there that we loved looking at! After we pet the animals Sophie went to ride a pony! She totally had a great time riding "peanut" and looked super cute in her helmet; you gotta love this video! The day wouldn't be complete without a picture of daddy, that's me, wearing Leah in the Baby Ergo! We did great until Sophie and Mommy got arrested and thrown into jail for breaking the law! This last year, well almost year, has been a rad journey in my personal life serving in ministry. I know that I am the High School Pastor at our church but I still want to serve in an area of ministry in our church and the way I have done that over the last six years is by leading a small group. 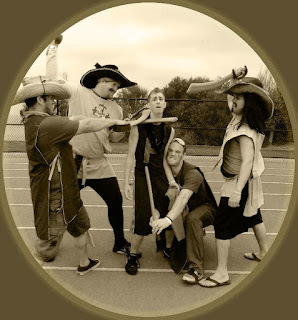 The way it has basically happened over the last few years is that I took the "upper class men" to make sure they had some solid discipleship in their lives before leaving for college. This last year of ministry (school year 2009-2010) I chose to do something different. I chose to lead the incoming freshman. There were a few factors that played into the decision but the main one was to be able to have influence in some young guys lives for the next four years and make sure they had a consistent leader. Now I have to admit that leading freshman is much different than leading seniors. The list could continue but these are just a few points that stick out to me the most. For years I knew this moment would come when I would "start over" with a group of young guys and lead them through high school (years we can all admit are some of the toughest years in our life). I have to admit that I kinda dreaded, or was scared, to go down and lead freshman but after a year of leading freshman I look back and I am so thankful for the guys in my small group and all the memories we made this year. Love you guys and praying that your sophomore year of high school will be a time or more growth in your walk with Christ. 9th- Invest the remaining $350,000 and pray really hard about how to use it to advance the Gospel of Jesus Christ. Today; if I got a check for $1,000,000 this is how I would spend it. How would you spend it? From July 18th-24th I had the privilege of leading a group of leaders and students to Hume Lake Christian Camp in California. This was my sixth summer heading to Hume for camp and I think every year it has gotten better and better. Some would say that bus ride is a long 9 hours there but I look at it as a rad time to connect with students who I normally don't get to see. After leaving Vegas and arriving to some temperature much less than 110 degrees I love to make, or encourage, all our guys to take a quick swim in the lake right when we get there. Then during the week we compete in some pretty crazy recreation games that help break down the "I'm too cool wall" that some students put up (I never did that in high school). Hume breaks the entire camp into 2 huge teams each having 14 sub-teams; let the competition begin! During the week your team can earn points for: cleaning your cabin, competition, spirit, memorizing Bible verses, and other things. The whole thing is to use healthy competition to break down walls and it works! Some free time activities we like to do are: play ultimate frisbee, you can rent a boat and go out on the lake (no gas motors allowed), there is a High Adventure course, a sick paintball course and much more. Every year we let the students know that we will be playing paintball in tank top shirts and shorts. I know it sounds totally stupid but I am in shock at how many love it! We get out there; have some fun and get crazy on the field. The welt stores are great (I still have a scar on my neck from three years ago) and this year my first hit was on the top of my head. The week was a huge success and we had multiple students make a first time choice for Christ. I was so excited at how many leaders came up to me and said something like: "I forgot to tell you, but when I was doing my one-on-one with ___________ he/she gave their life to Christ for the first time." I was so pumped to see all the hard work we have put into sowing the seeds for Christ reap a reward! The leaders this year were amazing (not that they haven't been) but this year we took 6 leaders who were previous students of ours. I have to just end this with a huge thank you to everyone who prayed for students, prayed for me, helped with transportation, gave us a contact to make camp less expensive, shopped the garage sale, played in the golf tournament, worked anything we did to raise money and just encouraged our team while we did camp this year. Thank you for loving God and liking students! I work with a great pastor on the team here at South Hills. I know there is a difference between good pastors and great pastors; so I want to make that distinction upfront that I am aware of the language of I am using in this post. I didn't always think he was a great pastor and I'm sure he had similar feelings for me but in the last six months I have come to realize that I work with a great pastor. He is talented. He is passionate about what he does. He is willing to take risks. He steps out in faith because he wants to see God work. He is a learner; and leaders are learners. He cares about the teams that he works with. He encourages our church to be a better place. And most of all I think he has the hardest job here on staff; he works with middle school students. This last week Chase Feindel was down in San Deigo at Hume SD and I heard some great things about the ministry that he was doing down there with the team of leaders he brought and the students that he ministers to. "You have a great team here"
"Chase is a really good youth pastor"
"Did he steal your phone and say that?" As much as I love to joke around with Chase I have to let the rest of the world know that he is not just a good youth pastor but, in my mind, he is a great youth pastor! Chase I am honored to work with you and see the growth that God has done in your life in the last almost 4 years we have been working together. Thank you for loving Jesus, loving your wife, caring about the local church and all you do here! Thanks too for being uncle Chase to my daughter. Its a pirate on her left forearm; she likes to tell me how I put it on. Its starting to wipe off today, but she loves it and I love seeing her smile! Sophie has been practicing her ABC's and tonight, while eating cherries, we decided to give them a shot on camera! For about the last month God has been teaching me a tough lesson; The Journey. See I was hiking at Mount Charleston the other day (when I say the other day I mean 6 weeks ago) and on the drive up I planned to do the 2 mile hike to Cathedral Rock. When I got to the parking lot for the hike I noticed on the board a hike that would take me to the top of the mountain. I had the food and water to make the hike so I diverted the plan, texted Charity and took off on a new adventure. As I began this new adventure I quickly realized that I was not the 16 year, agile, studly young man I once was. Another thing I noticed was a good deal of snow on the ground; but I kept on trucking. The entire hike I was talking to God. Sometime into this new adventure I specifically heard (not audibly) that I need to turn around; so I did. I went back to "plan A" and let Charity know. As I was going back the same way I went there were feelings of remorse; you know when you had a great idea and it just never happened? That is how I was feeling. Feelings of failure crossed my mind and thoughts of wondering and question crossed my mind. As I was nearing the original trial I spotted a cool bench carved out of a huge tree that had fallen and decided to sit down on it. 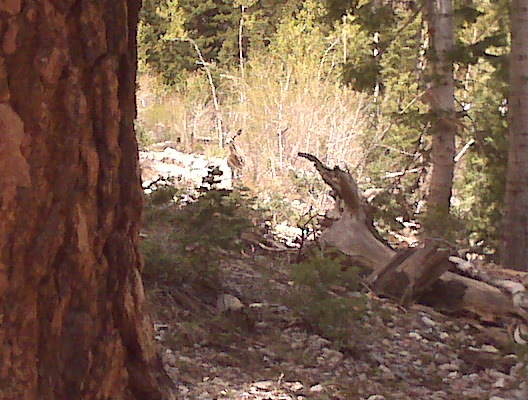 When I sat down I quickly noticed a pack of bears in the distance; ok just kidding but I did see two deer. As I was sitting on the bench I felt God speaking something to my heart that was difficult to hear. He was saying something to me that sounded like this "Its not about the destination while you are here, but its about the journey." See the goal of that day was to head to the mountain and spend time with God but how quickly it turned into Neal talking to God. Since this day there has been many conversations that God and I have had about this topic. On the drive to Redding for summer school I really felt God speaking to me about the journey while I was driving; about 30 minutes later I got a speeding ticket. God wanted me to slow down but I wasn't willing to listen; I constantly want to force my plan and I am constantly being reminded that I need to slow down and enjoy the journey. If I can't enjoy the journey will I ever enjoy the destination? It was a good Father's Day for me! So far I have posted a few blogs about school and how that has been going. I am currently attending Tozer Seminary in Redding, CA and the last two weeks of class have been pretty amazing for me. When I get home and am able to process through all I have learned, what has challenged my thinking and the material I enjoyed I think I'll write a summer school wrap up blog but today is about what I've been learning in my "Exploring Science and Scripture". The first day of class was pretty interesting for me because my prof, Dr. Hugh Ross, starting talking about some ideas of creation that are new to me... that were different for me... that were interesting for me... that rocked me... that were hard to grasp at first... that shook the thoughts I had in my mind already. Dr. Ross presented ideas about creation that I had never thought about and, honestly, had disregarded as stupid made up lies that didn't seem possible. Well as I began thinking more about God in creation and what Dr. Ross was presenting it became evident to me that if God wanted the universe to be 13.73 billion years old He can do that. If God wants the universe to be 6,000-10,000 years old He can do that also. See Dr. Ross has his Ph. D in Astrophysics (that means he is much smarter than I am) and he has a cool thing about him; he has Aspergers which allows him to focus on a subject and topic and learn as much as possible about that topic. It is evident that Dr. Ross has done his research and knows what he is talking about! I could share all the info that Dr. Ross gave to me and write some big words that really don't make sense but the best line that I am going to leave this class with goes something like this "The issue of Young Earth or Old Earth creation has no bearing on salvation". That line is freeing for me. You may hold to one of those positions or none at all but either way salvation is not contingent on them; salvation is found in Jesus Christ and that is what we need to share. I'm not sure this accurately shares what I am learning here but this is one way I am growing through school. Have you ever had one of those times in your life when it just clicked? Maybe you were riding a bike and you finally got the feeling of pedaling combined with your balance so your dad let you go on your own. Maybe you were skateboarding and when you realized how to stand on the board it just finally felt right. Maybe you relate that question to doing a math equation and the realization that the formula really does work. We all have times in our life that things don't make sense. The reason our brain tells our eyes to focus is because it is trying to make sense of the world around it; it wants to know! Today in class we were talking about Learner Sensitive Preaching, the need to put Scripture as the primary source/authority while engaging the culture... and that's when it clicked. I was thinking about teaching students and how to keep them engaged in the truth of God when I'm speaking. It clicked that my role as a pastoral leader is to create an environment where students can connect with God in a real way; a way that uses the culture they are used to to help point them to Christ and the culture we live in is a fast paced culture that requires our brain to constantly be thinking and learning. Not to sure how to begin the update for Summer School 2010 because I have a feeling I could write way too much and no one would read it; therefore I'm going to try to keep this simple but informative for how the last two days have gone up here. If you don't know I am currently in Redding, CA attending a two-week intensive summer school session at Tozer Seminary. The courses I am taking are "Preaching the Word" with Dr. Rod Casey and "God in Science and Scripture" with Dr. Hugh Ross. The cool thing is that both of the professors are totally different in their teaching style and both totally amazing men of God. Dr. Rod is teaching us about how to preach to a postmodern generation and I feel like from day one in class him and I just connected. He took the time to find my blog and learn about me even before I stepped into class. The first thing he said to me was: "I"m sorry to hear about the speeding ticket". It took me off guard but I realized the he was intentional to find out about who I am and I believe that he has learned from the class and tailored his teaching to fit who we are. He is legit; I love the material we are learning and totally resonate with where he is going and the discussions we have about our role as pastoral leaders. Dr. Ross is probably one of the most intelligent men I have ever met in my life; and I don't say that lightly. He has a Ph.D. in Astrophysics from the University of Toronto and the guy is a scientist at heart. I appreciate his lectures and the material he presents. When he speaks it draws it me into listening to him (if you know me that can be difficult to keep my attention). He has presented some new ideas that are challenging the way I think about God and what I think about the age of the universe and the earth. So far I am loving the integration of my courses; you may be curious on how these courses integrate with each other. See Rod is helping me shape my skills in speaking to High School students and Adults; he is passionate about people communicating God's truth accurately. So I take that and when I sit in Dr. Ross's course I am constantly thinking about how I can break this material down to make it understandable to a person who is new to Christ or curious about Christ. The next 12 days of class are going to rock me and I am so excited about that! Today I made the drive from Vegas to Redding, CA (I haven't done a long car drive like that in about 10 years). I left home at about 8:15am and chose to drive the 95 North to Reno. I ate some Burger King in Tonopah and I'm pretty sure it gave me bad gas. So about an hour outside of Tonopah I was heading down a grade and saw a long line of cars. At the end of the line I saw a car pull over and wasn't sure if he was ok. When I saw the lights come on I knew that he wanted to talk with me; yep I got my first speeding ticket in 11 years. I was kinda bummed but I was going 82 in a 70 and made a dumb choice to not follow the rules. I headed on from there and went to Reno. The sad thing about that drive is the brothel's on the side of the road. Being that I was driving alone I had a bunch of time to think about the hurt that those ladies face and what has caused them to end up in that situation. I think being a dad of daughters it just broke my heart to think about women living in that situation. So I continued my trek and had dinner in a little town called "Susanville" and got some more gas. From there I drove through Lassen National Park and it was SO beautiful. I rolled my window down and just smelled the amazing air and looked the trees. I pulled over to see Mount Lassen and it totally covered in snow! I passed a little creek called "Hat Creek" that I used to fish with my dad when I was a little kid. So I finally made it to Redding and I'm staying with some amazing Friends up here; Matt and Kendall Klutz, for the two weeks I'm up here in Seminary. I'm going to miss my girls but I'm excited to be up here and excited for what God wants to do in my life! Its probably no surprise to anyone the title of this post; I get tattoo's and therefore I spend time in the tattoo shop. If you have never been to a tattoo shop you are missing out! There are some crazy people in there; and I mean literally crazy (there are also some amazing people with great hearts in there). Although that is not the focus of this post I had to start it off that way because I think this will become a more common topic I write about. The main focus of this post is something that has stuck in my mind from my last tattoo sitting. It was late on a Saturday night and I was sitting in the chair being tattooed. 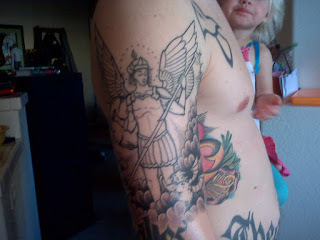 My artist was working on the top angel tattooed on my arm, more my shoulder, and I was talking with a female who was sitting in the room waiting for my artist, Johnny, to finish the tattoo. Johnny loves to tell people that I am a pastor and that he tattoo's me; I think its cool he is stoked on it and I love the guy. Well this lady and I began to talk about church and God and where she is at with Jesus. She told me she went to church when she was young and was super connected. She mentioned that she went to the summer camps and winter camps and it sounded like she enjoyed them in her tone of voice but something happened after high school that caused her to leave the church (we never got to what happened). So while Johnny and I were talking about how to finish up the bottom of my arm I shared I only want to do "half sleeves" because I preach in the big room at church and don't want to turn people off to Jesus and the hope in Christ because I have tattoo's. The lady looked at me and said something to the effect of "Its because people will judge you huh?" That line has stuck in my head the last 4 days and I can't stop thinking about it. Is the church really just known for being a place that judges people? It broke my heart to hear that; I grew up in a church that judged me for being a skateboarder and snowboarder. I was lumped in a category where the majority of the thought is that "those people do drugs" so I just did drugs because I was treated that way. I wonder if something to a similar effect happened to her and caused her to leave the church; maybe I will see her again and find out. As for me; I have come to the conclusion that I have no desire to get full sleeves on my arms because I do a good deal of overseas missions and tattoo's are not as acceptable overseas as they are in the States. I would love to hear thoughts, if you have any, of how we, the church, can be a place that lacks condemnation and promotes love and grace because if all we are known for is judgment then we are in trouble. So in a previous post on the Angel Tattoo I shared why I was getting it and what the reason behind the tattoo was all about. Since then I've had two more sessions on my arm and one more to go. The entire tattoo is done in black, gray and white. I love how Johnny Five is using the white to really make the tattoo pop out and have some cool definition. 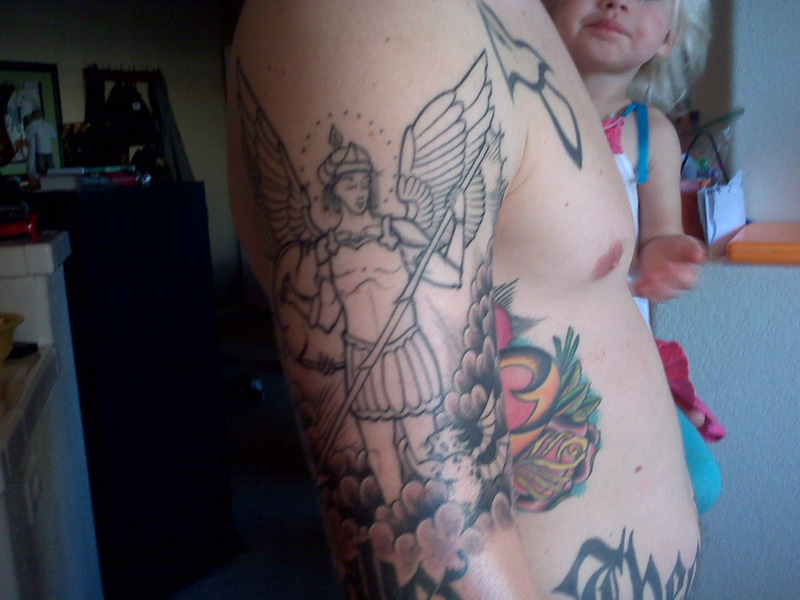 I have one more session and then hopefully we will be done; I'm super excited on this tattoo and how its turned out! and her head is huge; that is basically what our doc said. What does all this mean? It means that Leah is healthy, she is growing and she is an amazing little girl (the last one is my perspective). When Charity and I went to Africa back in December 2006 I bought this wood Hippo. I'm not exactly sure why I bought it; maybe because I like to barter and I thought a wood Hippo this big would be cool maybe because we saw some Hippo's in real life; who knows! Well when Sophie was about 12 months old, maybe younger, she fell in love with the Hippo! When I say fell in love I mean it. She would ask for the Hippo every morning and wanted to cuddle with it. The though thing about the Hippo is that he weighs 8.6 pounds and Sophie weighs 21.2 pounds (with her clothes on). About 6 months ago I hid the Hippo for a month and Sophie cried for it almost every morning; I finally gave it back. Maybe a two months ago I placed the Hippo under the bed to give him some rest and keep him away from Sophie. Well the other morning we were playing on the ground and Sophie found the Hippo. I don't know what it is but Sophie loves this Hippo! She loves him so much she cuddles him after she dropped him on her foot in the bathroom. Not sure why my daughter loves the 8.6 pound wood Hippo from Africa but she does! Even after we took the pictures of Hippo all she wanted to do was look at him.